A majority of my podiatry practice is built around treating athletes and chronic athletic injuries. From professional dancers to marathon runners, all athletes, regardless of sport or art, require the same thing—rapid stabilization for optimal loading and energy transfer. During dynamic movements, such as walking, running or jumping, the ability to rapidly load and unload impact forces requires a baseline of stabilization. With a rate of impact forces coming in at < 50 milliseconds during walking and < 20 ms during running, it is no wonder the rate of stabilization must be fast! To put this a little bit more in perspective. Our fast twitch muscle fibers don’t reach their peak contraction till about 50 – 70ms. So, if impact is coming in at rate < 20 ms during running and your hip, knee, ankle and foot are not already stable before you strike the ground—it is too late! It is physiologically impossible to react to impact and stabilize fast enough. 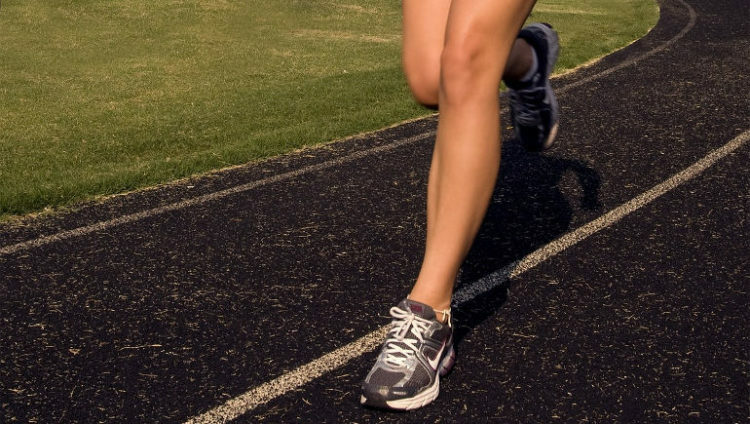 A client or athlete who is reacting to impact forces will often present with ITB syndrome, runner’s knee, peroneal tendinitis, stress fractures and/or shin splints . . . and that’s just naming a few! The opposite of pre-activation stabilization is reactive stabilization and is how many, if not most, of my patients (and people in general) are moving. When we think of the rate of neuromuscular coordination, even a small delay (think milliseconds) will result in tonic (exaggerated) muscle contractions, micro-instability and inefficient loading responses eventually leading to neuromuscular and connective tissue fatigue and injury. This is THE basis to EBFA Certifications Barefoot Training Specialist and BarefootRx. With our feet as our base the activation and engagement of our feet to the ground is key to center or core stabilization. 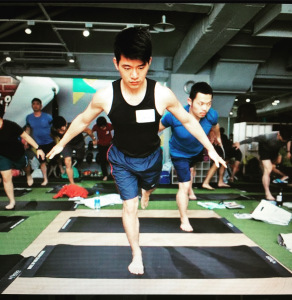 Fascially, the feet and core are connected through the Deep Front Line and must be integrated and sequenced as part of a proper warm-up or movement prep. All surfaces are designed differently, with certain surfaces actually blocking and damping the critical proprioceptive input between foot and ground. When we think of softer surfaces and mats research has shown a direct correlation between softer surfaces and delayed/prolonged loading responses. Harder surfaces, surfaces that allow the transmission of vibration and surfaces with textures allow more accurate and precise proprioceptive input. These findings led me to the development of innovative Naboso Technology. If you follow Steps 1 and 2 and activate the neuromuscular system barefoot and from the ground up, we then want to ensure this carries over as soon as we put on our shoes and begin our sport or activity. Imagine if you activate the proper neuro pathways but then put your client into a thick cushioned shoe. This essentially shuts off and defeats the purpose of Steps 1 and 2. We need to ensure a proper shoe is worn to allow this carry over into sport. Think flexible, with minimal cushioning and possible textured insoles. Additional ways to begin to train pre-activation training and shortening the TTS are covered in our EBFA Certifications. 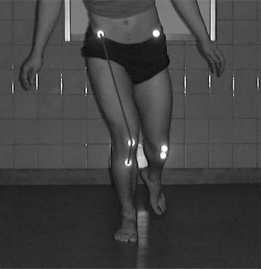 From the ground up landing techniques, foot-to-core sequencing, single-leg decelerations and more factors are critical to injury prevention and optimal performance. 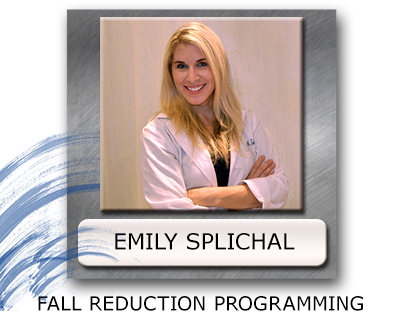 Emily Splichal is a podiatric doctor and movement specialist who works primarily with foot posture and foot strength, both clinically and in teaching workshops worldwide. She’s a barefoot training enthusiast, and teaches classes and trainings in barefoot training and postural alignment.